[Discussion] Why is there no Mi 9 Forum? [Q & A] Where is the Mi6 thread? [Q & A] Any redmi 5 plus user got this update? 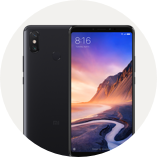 [Q & A] Can I install the global miui 10 beta on my Mi 9 EEA (Europe edition)? [Q & A] Is this the latest MIUI version?